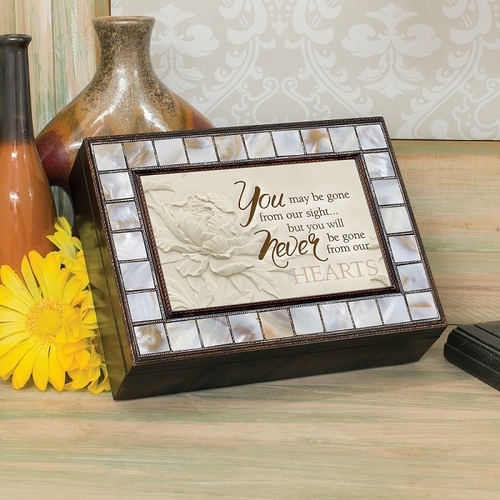 Honor the memory of a loved one with the memorial music box, Never Gone From Our Hearts. This unique box is surrounded by mother-of-pearl insets. 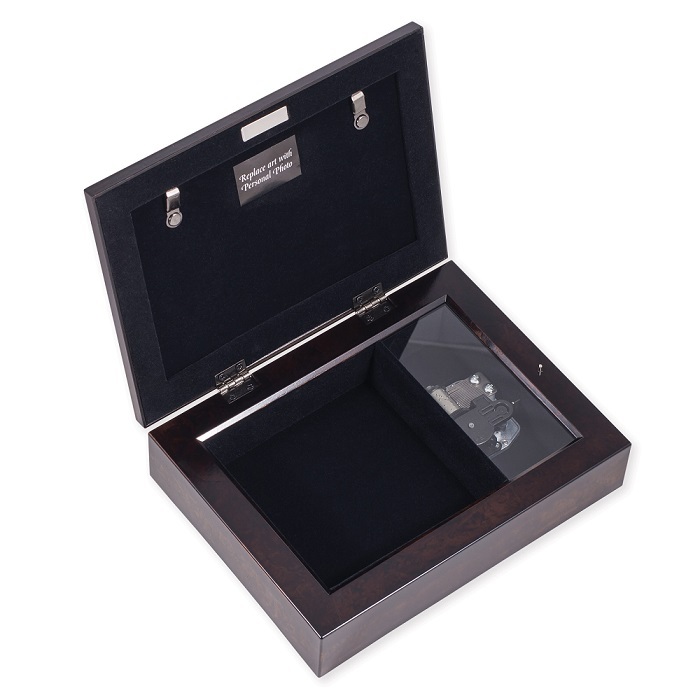 The Sankyo movements provide beautiful tones, while the velvet lined interior can be used to store special trinkets and momentos of the loved one. Please review spelling, dates, and upper case and lower case letters. 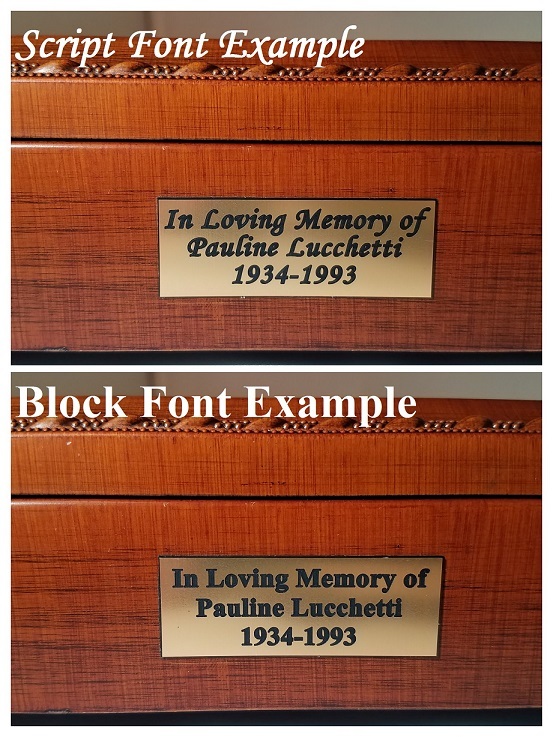 Text will be centered and engraved exactly as written.Personalized items are not returnable.